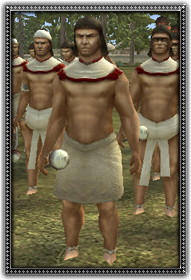 The bottom tier of Aztec society are called on to fight when numbers are needed. Peasants are used to fill gaps in armies where more important units are not needed. Peasants are armed only with a simple macana club.